For half a week, the American MSM seemed perfectly willing to pimp a disgusting interview, story and image of O.J.’s virtual confession. This promo shot for the interview– spoon fed to the media — was published as widely as it was blindly. One publication that didn’t lap it up was the German magazine, Stern. 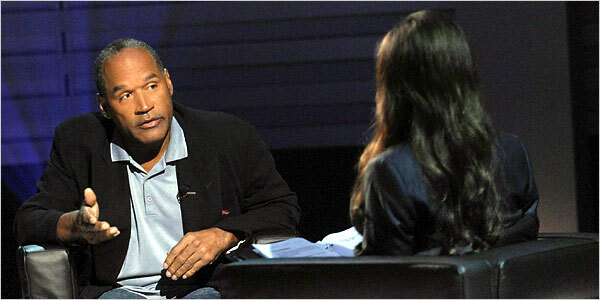 Instead, they covered what has become a big non-event with the photo above from O.J.’s (criminal)trial. One thing that interests The BAG is the extent to which news pictures also function as editorials. Is Stern’s choice of pic as much a comment about what domestic media is willing to wear as it is an opinion about homicide and sleight-of-hand?